The check of Bic Acoustech PL-200 II vs Monoprice 9723 let me compare their diversities and reveal much larger Bic Acoustech PL-200 II’s power than Monoprice 9723 has. 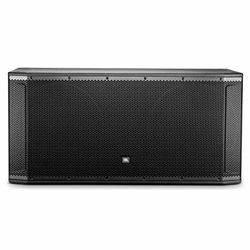 However, this advantage requires other components of the acoustic system to be powerful (no more than 50% less powerful than a sub). Bic Acoustech PL-200 II’s composition is pressed long-fiber paper that can decrease its damping features because of absorbing moisture from the air. Monoprice 9723 has 5 speaker connectors versus Bic Acoustech PL-200 II’s 2 ones. That means more opportunities to power the sub via making various connections. At the same time, this unit lacks volume when connecting it with the AVR – you should start its level control with halfway up at once. The test Monoprice 9723 vs Bic Acoustech PL-200 II demonstrated Bic Acoustech PL-200 II’s good low-frequency rating that is identical to the lowest level of human hearing. Besides, it can boast a high sensitivity rating that allows the sub using all its 250W of continuous power extremely efficiently. Bic Acoustech PL-200 II can both hit all the low tones and make them authentic that adds brightness to the movie action scenes. It sounds great with both movie and music. 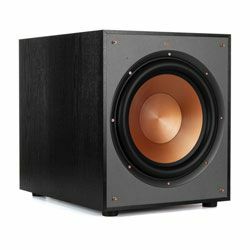 Monoprice 9723's low frequency is the worst in this segment – 50Hz. The highest frequency is 150Hz, but the sub starts declining in performance when reaching 120 Hz. However, the unit produces ample and clear bass. 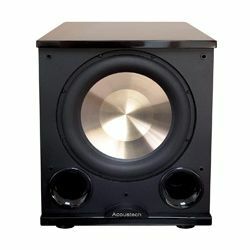 Bic Acoustech PL-200 II is large and heavy that make us worry about its ability to fit in the space and the interior. It is front-ported that’s why it sounds better if you sit 6 feet away from it. The inputs and outputs, as well as a crossover button, are on the rear panel. The subs front cover can be removed optionally. Monoprice 9723 has an average design with the curved sides. Its panels are rather thin, but they look nice with its black finish without any gloss. The model has a removable grille covering on the front. 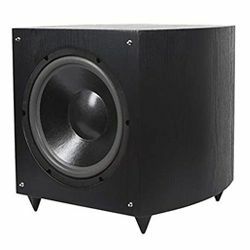 Both subs have plastic elements that are easily to scratch. 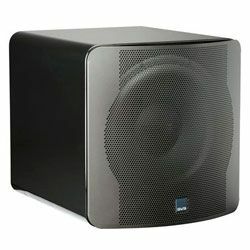 The sub delivers clear sound without distortions whether you adjust the level of bass up or down. Requires new high-quality receiver to achieve its potential. Gives the surround sound with lots of air using the RCA connections. Fits to upgrade only basic systems. Has no LFE port and cable that are specifically for connecting subs.